DSA attended a Chinese New Year media thank you dinner hosted by Mr Chiew Kok Hin, CEO of AIMS Group. After Lou Sang was completed, we got down to chomping our way through the multiple food courses and between mouthfuls, we were able to chat with Mr Chiew about the history and the future of AIMS and the Datacentre market in general. Chiew Kok Hin is a 19 year veteran of AIMS Group joining as a customer service representative and working in every other part of the business before becoming CEO. Getting the chance to spend time with him gave us a real glimpse into why AIMS has managed to navigate the internet and cloud age, growing stronger as the years have progressed. Despite his 19 years, Mr Chiew remains totally passionate about his business. 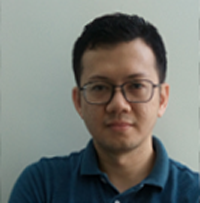 This passion is combined with good knowledge of the industry and a street fighter entrepreneurial spirit which no doubt is a large part of the reason why AIMS is one of the Malaysian Datacentres that has floated to the top of the pile. Going back nearly a decade Mr Chiew was one of a team of execs that successfully completed a management buy-out of the company, all of them digging deep into their own pockets to make that buy out happen. In fact, they dug deeper than their pockets would go and used any source of funding including personal credit cards to raise the money to buy the company. This fact alone tells us a lot about Chiew Kok Hin, he is a man with the courage to “put his money where his mouth is” and go the extra mile to succeed, no doubt this, leading from the front attitude, is a big ingredient in the success that AIMs has become. The conversation was wide ranging, but we were particularly interested where AIMS believe their long term future lay given the threat from public cloud such as AWS or Azure. On this, Chiew is clear, low cost of entry flexible “renting” CPU or Storage is not where he sees AIMS playing. It’s a commodity game and the AIMS CEO is not convinced the economies of scale are there to make money, even for the largest public cloud providers. At DSA, we agree with this view, at the moment we suspect AWS and Microsoft are in market acquisition mode where profit is less important that gaining market share. With this being the case, the true ongoing cost of public cloud may be hidden. AIMS Group is not likely to get into the game of “Cloudbursting” either, again the technology of public cloud is well suited to offering excess processing power for peak periods, but it’s not AIMS sweet spot. So where is the future for AIMS Group? Specifically, it’s hybrid and private cloud. Building robust, secure customized cloud environments with the ability to build in SLAs around connectivity and bandwidth. The target market is for ASEAN based companies that need private clouds built and managed on their behalf. When you consider the recent acquisitions and investments that AIMS’ parent company Time has made the AIMS Group value proposition is clear. Mr Chiew explained that in addition to the five datacentres they have across the whole of Malaysia they have acquired datacentre companies in Thailand and Vietnam. They have also been investing in dedicated pipes such as one between Singapore and Malaysia. The story is starting to get very compelling. For ASEAN based companies that have concerns about data protection, security and sovereignty, AMS is building an infrastructure that will allow inter country replication for protection, the ability to know and choose exactly where your data resides for sovereignty built and managed by a company with people you know and trust for security. All of this for a predictable opex based price without the unexpected spikes that companies often experience with public cloud “utility” based pricing. Mr Chiew agreed that the economic outlook for 2016 is looking tough, but we sense that with this street fighting entrepreneur at the helm of AIMS Group they will be more than ready to navigate the tough economic times ahead.